Aluminum Ladder Racks for Minivans All Makes and models. Dodge Caravan, Dodge Grand Caravan, Chevy Uplander, Pontiac Montana, Toyota Sienna, Honda Odyssey, and other vehicles. Aluminum Ladder Racks for Commercial Minivans. - Two 3-3/4 wide flat aluminum support channels, front stopper to prevent ladder to slide forward. - Four aluminum 3/16" heavy duty support brackets to mount to vehicle's roof. - Ladder / cargo positioners to keep ladders / load in place. Fully Adjustable to accomodate any types of ladders. - Side tubes for easy loading and support while driving. Comes with rubber pads and mounting hardware. 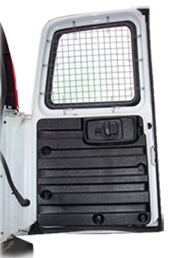 - Available with Single or Double Ladder Lock Down. Basic Ladder Rack without Ladder Lock Down available. Please Specfy your Vehicle Make, Model & Year. Minivan Aluminum Ladder Rack - Base Model - Regular Size Minivan - Dodge, Ford, GMC, Chevy - no Ladder Lock Down.Dodge Caravan & Other Short Wheel Base Minivans. 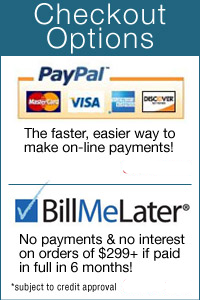 *Flat rate shipping $45 will be added at checkout. 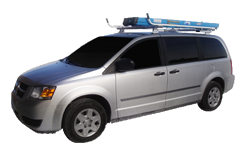 Minivan Aluminum Ladder Rack - Base Model - Extended Wheel Base Minivans - Dodge, Ford, GMC, Chevy - no Ladder Lock Down.Dodge Grand Caravan & Other Long Wheel Base Minivans. Minivan Aluminum Ladder Rack - Single Lock Down. Regular Size Minivan - Dodge, Ford, GMC, Chevy - Dodge Caravan & Other Short Wheel Base Minivans. Minivan Aluminum Ladder Rack - Single Lock Down. Extended Size Minivans - Dodge, Ford, GMC, Chevy - Dodge Grand Caravan & Other Long Wheel Base Minivans. Minivan Aluminum Ladder Rack - Double Ladder Lock Down. Regular Size Minivan - Dodge, Ford, GMC, Chevy - Dodge Caravan & Other Short Wheel Base Minivans. Minivan Aluminum Ladder Rack - Double Ladder Lock Down. Extended Wheel base Minivan - Dodge, Ford, GMC, Chevy - Dodge Grand Caravan & Other Long Wheel Base Minivans.